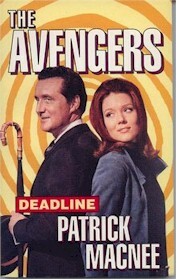 The first tv show I know of that had an exit strategy for Diana Rigg. What a great and poignant ending; discovering that her long lost husband was actually still alive. Steele and Peel, even their names are cool! For quite a while thought they were married as they 'jelled' so good together! I especially liked the episodes that had a science fiction aspect! done so very well.A really outstanding show untill Diana Rigg left it.Linda Thorson just didn't have the right stuff.She started on the show right out of acting school. What were the producers thinking giveing her that part? !